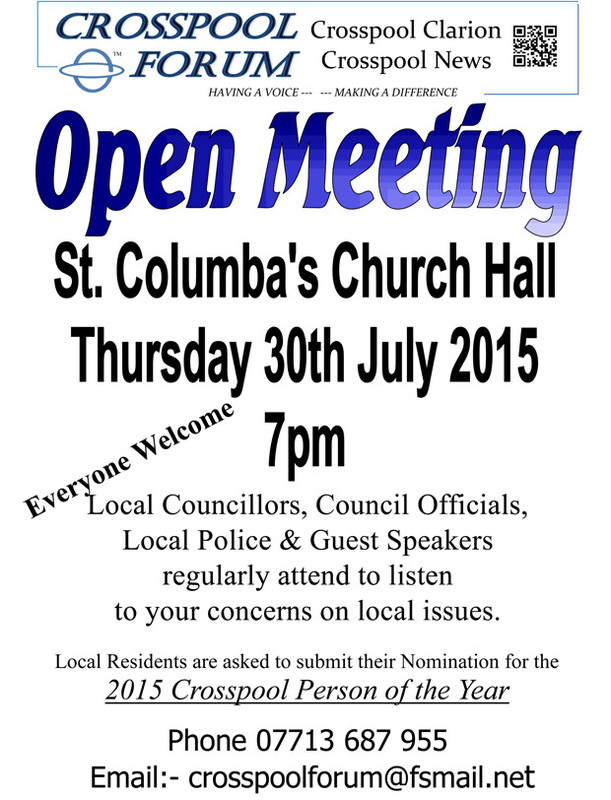 Crosspool Forum’s Open Meeting on Thursday 30 July at St Columba’s will start at 7pm. Come along and give your concerns on local issues to local councillors, the police and officials from First Bus and Streets Ahead contractor Amey. Please accept my apologies for Thursdays Meeting.